Dr Subin Dutta, our principal dentist, has an interest in all facets of dentistry, especially cosmetic dentistry, orthodontics and implant dentistry. 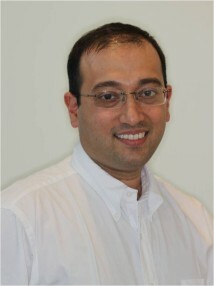 He strives to provide all his patients with the highest level of dental care. Subin graduated in 2002 and has obtained the National Dental board certification from USA. He has done courses in restorative dentistry in Southern California and at the National Centre for continuing education in Texas. He has also worked in medical / dental research in London. He has been practicing in Australia since 2005. Subin brings with him the experience of working across countries such as the United Kingdom and Australia. Subin moved to Canberra in 2008 where he met his wife who is a doctor at the Canberra hospital. He is qualified to treat patients with invisible orthodontic systems and has level 3 accreditation from the Australian society of Implant Dentistry. Subin is always looking to further his knowledge and gain additional skills. He is currently pursuing a post graduate qualification to become a member of the Royal Australasian College of Dental Surgeons.